Posted by: Gunkcast in Bob, GunkCast, Manny, Mar17, tags: drive-through, jimbo, Punk Rock, reviews, smidge kurdlebaum, The Gunk U.K.
1:08: 18 – Has 2017 seemed just a little quiet so far for the podcast? Fear not… you may just need earplugs for this one! We crank those guitar amps up (yeah, yeah…definitely past “11”) & bring the show back in full swing as we dedicate this episode to the band behind the podcast! Yes, for this one we pay tribute to the legacy of The Gunk U.K.. 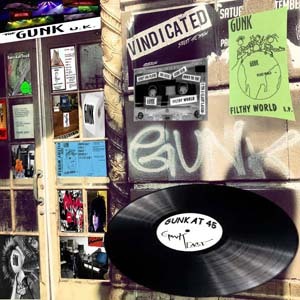 Hear from friends, podcast peers, ex-roadies, punk rock mail carriers, pub owners, disgruntled recording engineers, and (of course) the band themselves as we take you on a wild journey into the world of The Gunk U.K.! The full story is disclosed about the band who dared to shun the establishment and take what was rightfully theirs: a good pint of ale at the pub for their sweaty performance! There is also the hint that for the proper listening expeience, you should play this episode at 45 RPM (& at that max volume)! And to top everything off…we take you on a seasonal adventure, give you a stellar concert review, and throw in all the great music to boot! What more could you possibly want from a podcast? Cheers! A special note should be made that you may hear a companion episode to this one on Static Radio right here. Also, please share the love and listen to some of our favorite podcasts at: Onsug, Static Radio, & Insignificast! Released March 2017 on The Overnightscape Underground (onsug.com), an Internet talk radio channel focusing on a freeform monologue style, with diverse and fascinating hosts. 38:50 – Welcome to Tape Land! On each episode, I will be presenting the audio of a cassette tape from my collection. It’s a way to help motivate me to digitize more of my archives. Another episode of my college radio show, Anything But Monday, with my co-host Mad Mike. There’s no date on the tape, but I estimate it to be from 3/17/86. Mike reads an article about celebrity salaries from the March 10, 1986 People Magazine. We also play the first episode of “Sounds of the Commons”. Jimbo apologizes to PQ and vows to make it up somehow! 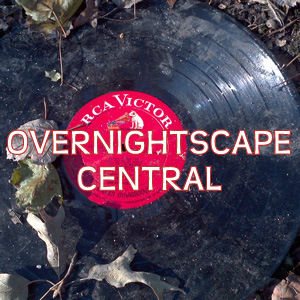 Released March 2017 on The Overnightscape Underground (onsug.com), an Internet talk radio channel focusing on a free-form monologue style, with diverse and very clever hosts presenting unique programs, historic archival material, and nocturnal audio. (1:08:54) A svelte, fun engagement from Shambles Constant, Frank Edward Nora, PQ Ribber and your host Jimbo! The Week in Review, too! 55:51 – Welcome to Tape Land! On each episode, I will be presenting the audio of a cassette tape from my collection. It’s a way to help motivate me to digitize more of my archives. 49:24 – Welcome to Tape Land! On each episode, I will be presenting the audio of a cassette tape from my collection. It’s a way to help motivate me to digitize more of my archives. It was my first time back to the World Trade Center area since 9/11. I started off in lower Manhattan, and walked up along the Hudson River, to the World Financial Center, still being repaired. Later in the tape, I explore classic video game arcades in Times Square – visiting Laser Park and Broadway City Arcade – and talking about many other now long-lost landmarks of the area. Also on the tape are ambient sounds of commuting, notes on my Obliviana project (which would come to an end a year later), and much more… Recorded Feb 1-4, 2002. 1:41:03 — Download on iTunes and Podbean. 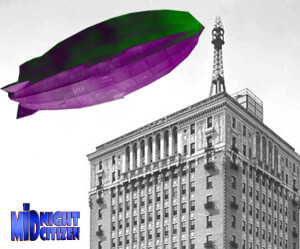 Join Mike in the studio late at night on his very special 205th episode, as he remembers when American Idol Ruben Studdard once put Birmingham, AL — and its area code, 205 — on the map. Show Notes: I have no idea what pain is; kids of the 80s/90s are spoiled and must search desperately for things to get mad about; “Schitt$ Creek” show; Chris Elliot; Zippo lighters; Music Break 1*; Elvira: Mistress of the Dark; playing “Jeopardy” with Alexa; area code 205; Ruben Studdard; cynical society; Video Street Video Store**; do teenagers work anymore? ; Birmingham has the last skyscraper mooring mast for dirigibles in the world; Governor Robert Bentley is NOT resigning amid scandal after all; Music Break 2*; nobody on HBO watches HBO; “Big Little Lies”; my Top 5 favorite movies. *Music Breaks: “Take it Personal” by Name Your Fear; “The Walls Ate My Sister’s Dog” by BlunderBox; “Roy” by JBlanked. **Video Street Video Store: Wendy’s Training Video — “Grill Skillz”, (1989). This work is licensed under a Creative Commons Attribution Non-commercial Share-Alike US License. Attribution by Mike Boody. 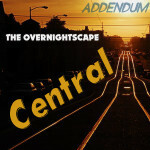 Released March 2017 on The Midnight Citizen and The Overnightscape Underground. You are currently browsing the archives for the 'Mar17' category.